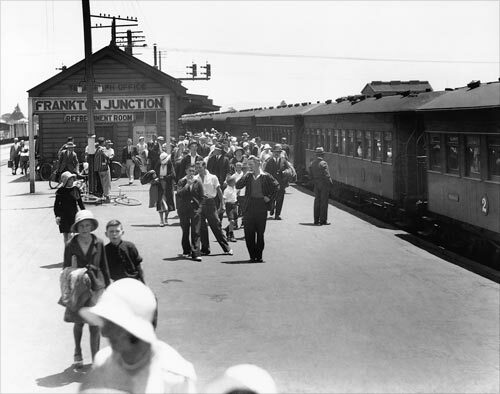 Frankton Junction, pictured here in the 1930s, was in its heyday one of the busiest railway stations in the North Island. It was a major stop on the North Island main trunk line between Auckland and Wellington, and lines to destinations such as Te Aroha, Thames, Waihī and Rotorua branched from Frankton. This made Hamilton an important transport hub and contributed to its growth.